What is the full band line-up, who sings and who plays which instrument? 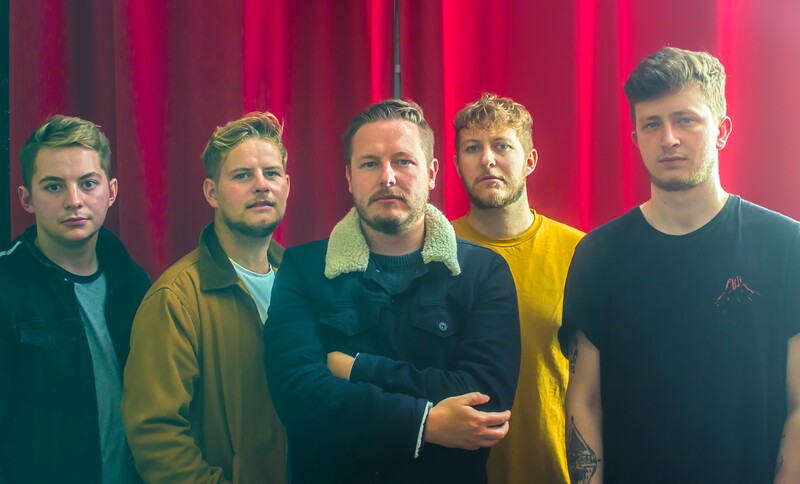 Ash Ingram – Vocals, Kyle Harrold – Guitar/Backing Vocals, Leon Harrold – Bass/Backing Vocals, Jordan Harrold – Guitar/Backing Vocals, and Kyle Palmer – Drums/Samples. Working in the studio is always a good place to start but even our first practice we knew it was right. It kinda helps that 3 are brothers and Ash & Kyle have know the brothers for a long time. It didn’t feel like we had to break the ice or anything. Where do we start! Bring Me The Horizon, Kids In Glass Houses, You Me At Six, Deaf Havana, Don Broco, Lower Than Atlantis, Pvris to name a few. How far back does your history with each other (the band members) extend? Are you friends from school or any family relations? Jordan, Kyle H, Leon are brothers. Ash has know Leon and Kyle H for over 20 years and Kyle P has known the lads for like 10 years. We are hard working, committed and our sound might be similar to a few bands but we also feel we’re trying to blend different styles together. Bringing an energy from heavier music but keeping that pop vibe within our melodies. If a deaf person were to ask you to describe the sound of your music, how would you describe it? Watch our upcoming music video for “Talk Of The Town” as that’s a powerful, fast paced and colourful video. Just like our music.